Tennis champion Roger Federer is widely considered to be the greatest men’s single player of all time. Federer has won 20 Grand Slam tournaments, is an Olympic gold medalist, and has set many records in a widely successful 20-year career. 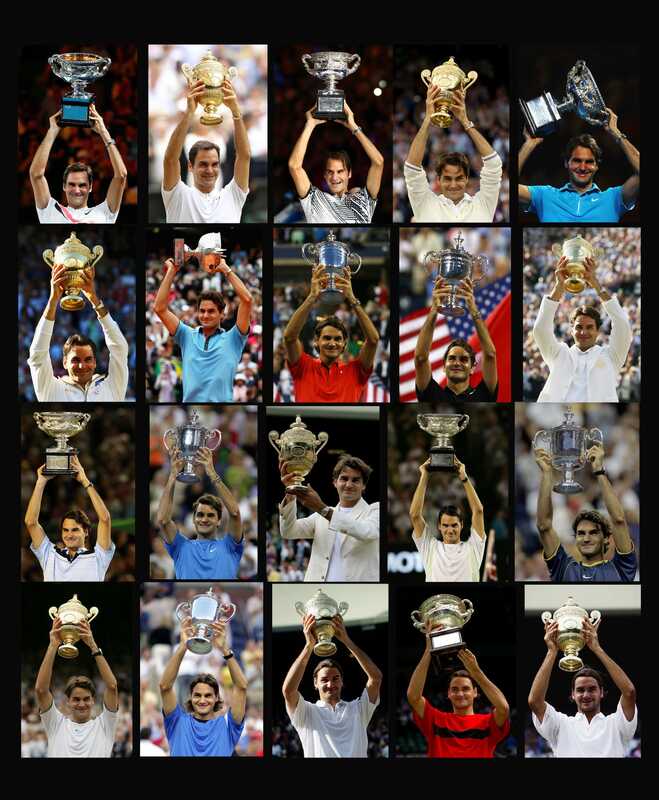 A Quora user asked which of Federer’s many records will be the most difficult to beat for future tennis champions, and triggered a number of responses. Here is the most popular answer. Tennis champion Roger Federer has set many records in his sport – but which has the best chance of standing the test of time? This was a question put forward by a Quora user recently, and it triggered a rally of responses. Widely regarded as the greatest men’s singles player of all time, Federer’s accomplishments in sport make for lengthy reading. He has the most men’s Grand Slam singles titles (20), the highest hard court match win percentage (87.6%) and, at 36 years old, Federer is the world’s oldest number one male competitor in the history of the ATP. But when it came to the ultimate unbreakable record Federer had set, opinions on Quora varied. User Todd Triana highlighted Federer’s “50 Grand Slam quarterfinal” appearances, a record Federer continues to extend to this day thanks to a quarterfinal outing at the 2017 US Open and his outright success at the 2018 Australian Open. He has competed 52 times in the final eight of a major and, as he shows no signs of slowing down, could surely feature in a few more. 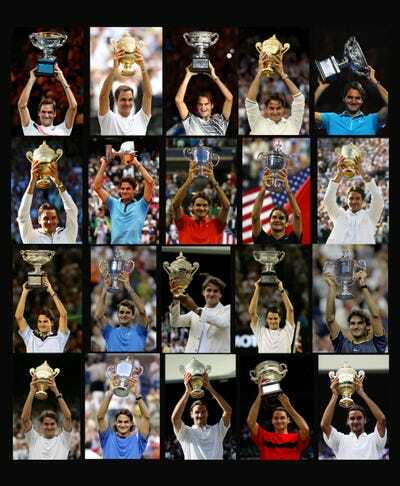 Getty ImagesFederer’s 20 Grand Slam titles. There was one common answer on Quora, though – and it had nothing to do with volume of Grand Slam titles, win percentages, or age. The most unbreakable record was regarded to be the 237 consecutive weeks Federer spent ranked as the world’s number one men’s player from February 2004 to August 2008. Quore user Annabel Gong explained: “For someone from the next generation to beat this record, that would mean he would have to stay at number one for over four and a half years! Though Federer is unlikely to extend that consecutive run now, one streak he can continue to stretch is another record of his – total weeks spent as world number one, which is currently 308. That’s almost six years, in total, at the very top of the game.